Keith Thomson's book, "What Was Your Great Grandmother’s Name? Fifty Thoughts On How Canadian Philanthropy Can Transform You, Your Family And Your Community." Keith Thomson, a Toronto-based philanthropic specialist, recently published his book, What Was Your Great Grandmother’s Name? Fifty Thoughts On How Canadian Philanthropy Can Transform You, Your Family And Your Community. 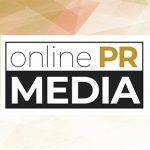 Online PR News – 13-June-2012 – Toronto, Ontario – Keith Thomson, a philanthropic specialist in Toronto, Ontario, recently published a book titled "What Was Your Great Grandmother’s Name? Fifty Thoughts On How Canadian Philanthropy Can Transform You, Your Family And Your Community." Thomson was inspired to write this book after he realized that the contribution of wisdom, wealth, and the overall hard work of his fellow Canadians (both past and present) has had a profound impact on his success thus far. Many Canadians today may not be aware of the passions that drove past generations or the philanthropic causes that received their dedication. This realization prompted him to motivate others to appreciate the varied and life-transforming benefits of philanthropy. Throughout his book, Thomson recognizes and shares the psychological and physical benefits of philanthropy. He also fervently believes that philanthropy can leave you and your family in a stronger financial position by reducing your taxes, leaving more to your loved ones and making a larger impact on those causes close to your heart. In "What Was Your Great Grandmother’s Name? Fifty Thoughts On How Canadian Philanthropy Can Transform You, Your Family And Your Community," Keith Thomson gives his 50 tools to encourage and remind us why and how we give. His desire as the author is that his book (which is now available on the Amazon www.amazon.ca) will make a lasting impact on the coming generations by fostering philanthropy. He believes that the tools found in his book will transform its reader’s relationship with philanthropic giving while allowing them to make a meaningful impact on their world. For further details, call (416) 681-715, go to www.greatgrandmother.ca, or e-mail info@greatgrandmother.ca. About Keith Thomson: Keith Thomson, based in Toronto, is an internationally recognized financial educator, author and consultant, specializing in estate and charitable tax planning.